Gallopade sells a number of inexpensive resources for state history that might be used at various levels from kindergarten through eighth grade. Some target younger grades and some older, but all can be used for more than one grade level. These resources for each individual state are all modeled on the same format with slight changes to make them suitable for each state. For example, I’m Reading About Alabama looks very similar to the I’m Reading About book for any other state. They use most of the same topic headings such as Native Americans, Explorers, Statehood, Capital, Borders, Bird, Flower, Tree, Rivers, Landmark, Sports, and Claim to Fame. However, they tailor information to each state. Some of Gallopade’s resources individualize material for each state more than others. While I’m Reading About ___ books have pictures and information that are specific to the state on every page, Exploring Alabama Through Project-Based Learning and its corresponding version for each state direct students to research information on geography, history, government, economics, sociology, and other topics. This series does NOT provide information. Consequently, many of the 50 research projects in this book will look very similar from state to state. Even so, pages frequently reference the state being studied. For example, one project in Exploring California Through Project-Based Learning asks, “How have various cultural groups influenced California’s Overall Culture?” Students are then told to select a cultural group in the state. They are given a list of questions that includes: “What cultures are represented in California today? What characteristics do people of this culture share? 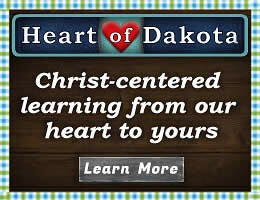 What languages, foods, clothing, religious beliefs, and traditions did they bring to the state?” (p. 17). You can see that simply substituting “Texas” or “Pennsylvania” for “California” makes the same assignment useful for all states. The publisher’s use of common formats for their resources is likely what allows them to provide these at very low cost. Even better, the resources that serve as activity books are reproducible, so one copy will serve for your family or group class. Gallopade has at least 30 products for studying each state. They were all written for class groups. 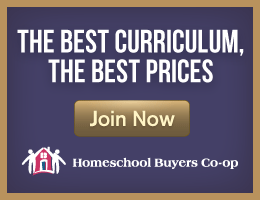 Some are easily usable for homeschoolers while others are not. 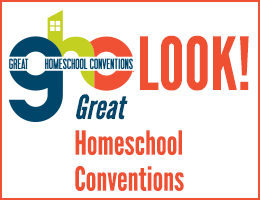 In this review, I am highlighting just a few of the products that I think will be most useful for homeschoolers. You might start children in the primary grades with I’m Reading About ___. Even though these books have 48 pages, they are half-size, they feature very large fonts, and they can be read rather quickly. Students in grades three through eight have more options. While the publisher suggests Exploring ___ Through Project-Based Learning for grades three to five, I can see it being more useful up through eighth grade. As you can see from the example I gave above, it requires a good deal of research, reading, and writing. For each project there are suggestions for presenting their findings such as “Create a visual timeline,” ”Write a ‘day in the life’ story,” Create a poster,” and “Create a tour guide script.” In addition, each project has follow-up questions to discuss. While many projects are supposed to be worked on collaboratively by groups, almost all of them can be done by a student working alone. However, younger students will certainly need a great deal of guidance and assistance. Native Americans books are tailored for each state and are suggested for grades three through eight. These 36-page books use the alphabet as a gimmick to present information about both Native Americans in general and Native Americans that have lived in each state. For example, In California Native Americans, the page for the letter “B” includes sentences or paragraphs about bows, bones, baskets, band (subdivision of an Indian tribe), blankets, buckskin, and beads plus snippets about “Bayu,” a “Maidu Indian village on Sandy Gulch in Butte County”, “Boalkea,” a “Pomo village near Clear Lake, California,” and “Batawat, a “ subdivision of the Wiyot tribe that lived near the Mad River in northwest California.” Gallopade also offers companion books that can be used for any state: Native American Big Activity Book, Native American Biographies, Native American Heritage Book, and Native American Coloring Book. Yet another resource for older students that is tailored to each state is Primary Sources. This is a packet of 20 letter-size images printed on cardstock. Rather than documents that require extensive reading, these are images of primary source items such as posters, photographs, advertisements, maps, engravings, lithographs, pictures of paintings, and political cartoons. A free 15-page teacher’s guide (accessed online) has generic lesson plans for various types of documents. These teach students to “read” analytically, note details, interpret information, complete charts and graphic organizers, answer questions, and sometimes do some literary analysis. The challenge for parents will be to determine which of the activity sheets in the teacher’s guide to use with the different documents. The three products I've reviewed as well as many others are available in either print or PDF formats. Gallopade has quite a few other resources that might interest you for state studies as well as for other topics. Comparison prices below show only a few samples since there are too many too list them all.